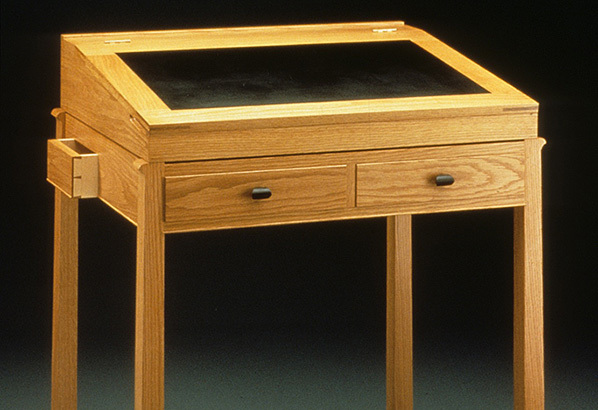 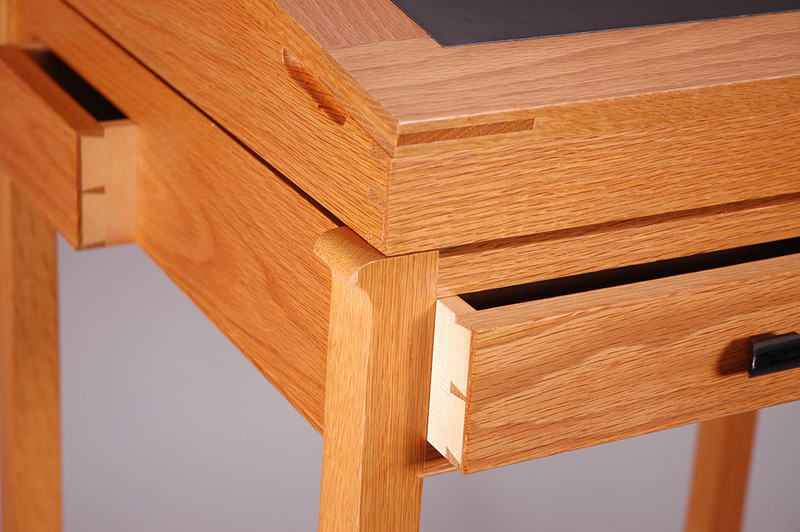 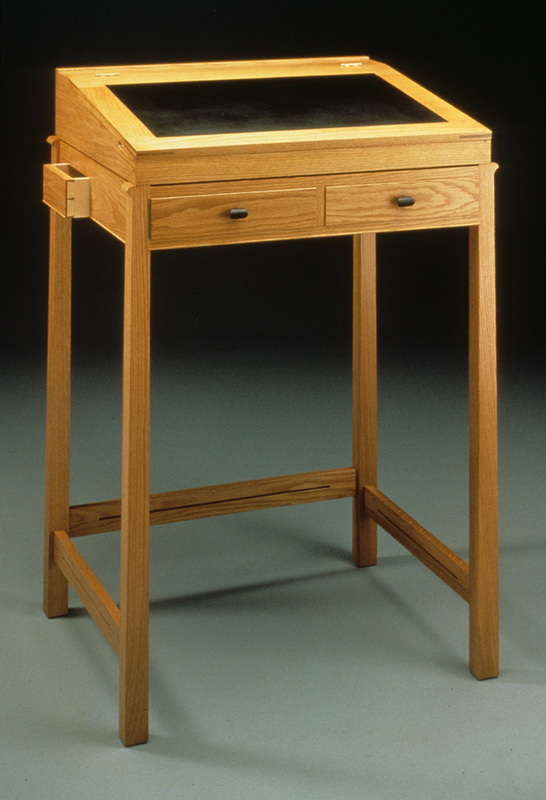 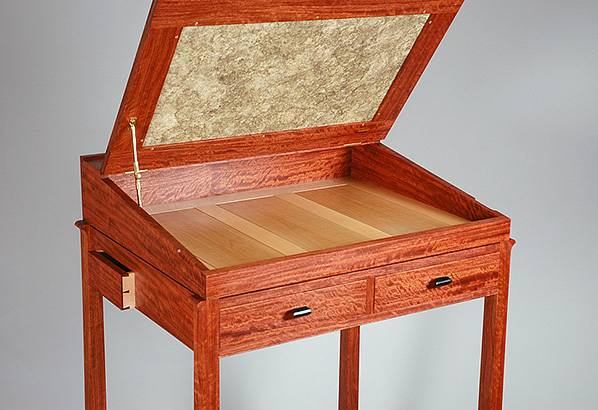 This piece can also be made without the “secret” drawers, which will allow for deeper pencil drawers. 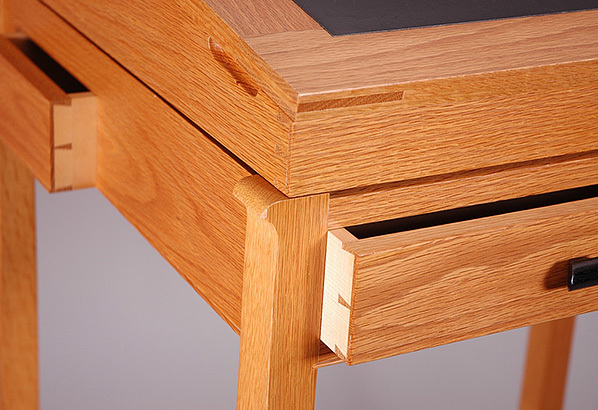 There isn’t a standard height for the desk, rather the height is determined by what works best for the end user. 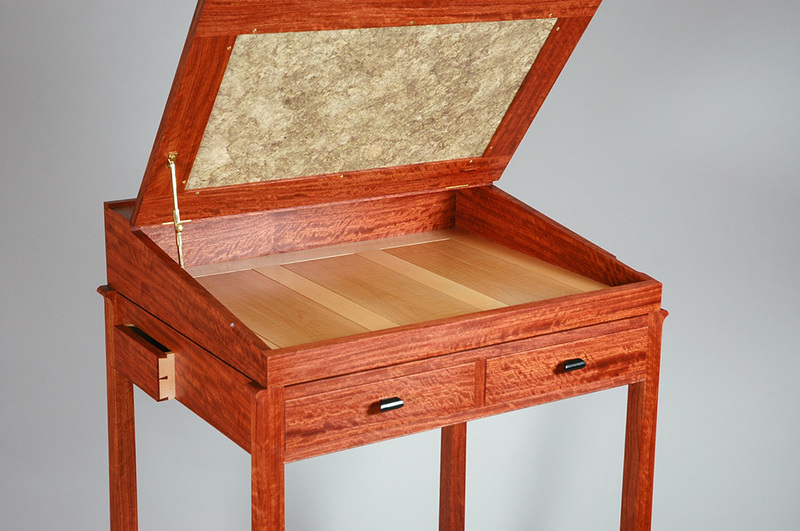 The desk has also been made in a variety of woods.